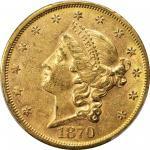 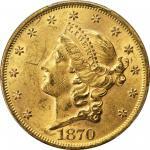 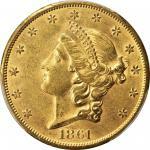 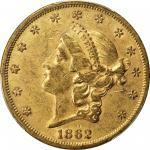 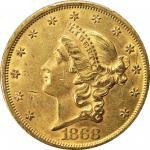 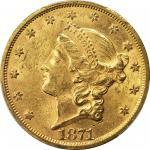 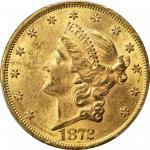 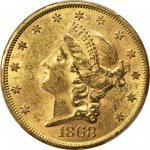 1864 Liberty Head Double Eagle. 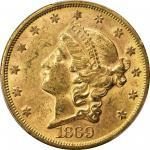 AU-58 (PCGS). 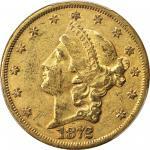 A lovely example of this challenging issue, both sides are sharply defined throughout with nearly complete mint frost also retained. 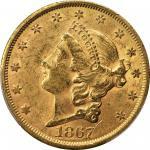 Original pinkish-honey patina further enhances this coins already memorable appearance. 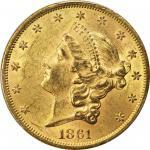 Federal records report that 204,235 circulation strike double eagles ($4,084,700 in face value) were coined at the Philadelphia Mint during 1864, and due to the continued problem with hoarding -- which lasted until late December 1879 -- none were used in regular day-to-day transactions in the eastern half of the United States. 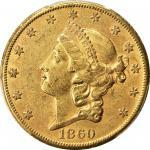 It seems that many were exported, and to the extent that this happened, most were likely melted into bullion, as examples have not turned up in European bank hoards to any great extent. 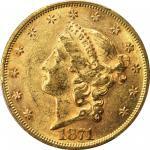 We estimate a surviving population of between 300 to 450 pieces, most of which grade VF or EF.From the Fairmont Collection.